October is Security at Home Awareness month and we are hosting a guest blog post from Sainsbury Bank to inform our readers on measures to improve on safety and security in their homes. Home Security Tip #1: Are You Covered by Home Insurance? The most important thing is making sure that your home insurance covers all your valuables in case something does happen. Some policies may only cover a set number of valuables or only cover a certain value of combined items. Crime statistics from the National Crime Survey for the period between September 2015 and March 2016 show that UK residents have a 2.5% chance of having their home burgled at least once. 701 thousand incidents of domestic burglary were reported to the police during this time. Sainsbury’s Bank also offers advice on how to protect your home from opportunistic thieves, lowering the risk that your home will be targeted. They suggest that you consider installing an alarm for your house to deter burglars and alert neighbours. There are many different types of alarm systems on the market but the Metropolitan Police recommend that you choose a system that meets British Standard 4737/BS EN 50131. Another easy addition to your house that can prevent it being broken into is motion sensor lights. A bright light makes it easy to see when someone approaches your home and can make burglars reconsider their break in attempt. These should be positioned in places that cannot be seen from the road or overlooked by neighbours such as your back door. When going out try not to leave car keys on the window sill or other visible places; this can attract would be robbers. If you are going to be gone for more than a few days invest in timers which will turn on lights at set times. This will give the illusion that someone is home and act as a deterrent. You should also avoid leaving spare keys in obvious places such as under door mats as this will be the first place thieves look. Remember most burglars will avoid properties which seem well protected and have no obvious means of entry, so always aim to make your home seem secure. 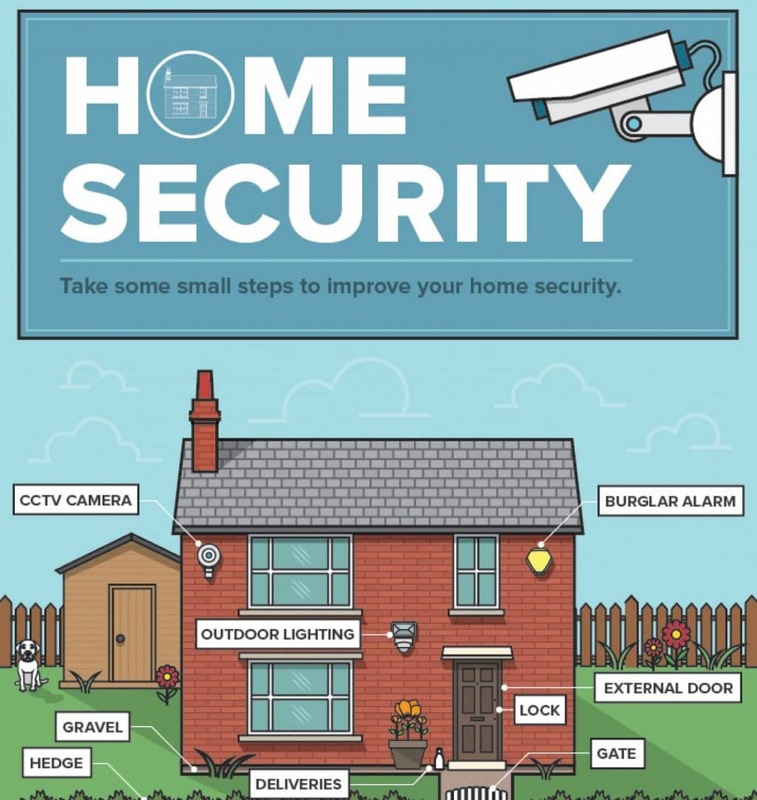 If you would like to further look into improving your home security, please take a look at the full visual guide Sainsbury Bank offers for Home Security Awareness Month here.